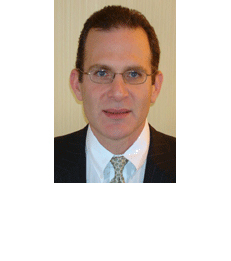 Dr. Clifford Bleustein joined New York University Stern School of Business as an Adjunct in Economics in fall 2008. Cliff recently joined Dell Services as the Managing Director & Global Head of Healthcare Consulting for the Healthcare & Life Sciences business unit. Cliff runs the global P&L for consulting services and leads an integrated team of professionals across Management Consulting, MEDITECH, Cerner, Epic, McKesson, and ICD10 /Revenue Cycle. Cliff is a Healthcare Executive with a passionate interest in improving healthcare systems. He brings expertise as a business leader and consultant, delivering clinical care, mentoring healthcare professionals to develop new capabilities needed for future success, and having the courage to tackle high risk, high exposure innovative engagements. Cliff has a blend of intellectual curiosity and an ability to understand how systems operate in the real world. These have equipped him to develop business solutions that deliver value and trusted client relationships. By way of background, he is a board certified urologist, he has conducted award winning research, has helped mentor and train residents as an assistant clinical professor of medicine, and teach Healthcare Economics as an adjunct Professor of Economics at NYU Stern School of Business. He completed an MBA degree and previously had 5 successful years of consulting in healthcare at PricewaterhouseCoopers. He has led a diverse set of client work including business strategy, mergers & acquisitions, healthcare operations, physician alignment and resource optimization. Cliff brings international experience with on-the-ground projects in Ireland, the UK, South Africa, China, and India as well as assessments in the Middle East. Professor Bleustein earned his M.B.A. from NYU Stern and his M.D. from the Medical college of Wisconsin. Laser-Assisted Demucosalized Gastrocystoplasty with Autoaugmentation in a Canine Model. Semi-Solid albumin solder improved mechanical properties for laser tissue welding. Lasers Surg Med 2000; 27(5): 465-470. J Endourol 1999; 13 (6): 447-450.